Cook the carrots in a pot of salted, boiling water for 5 minutes. Drain the carrots in a colander. 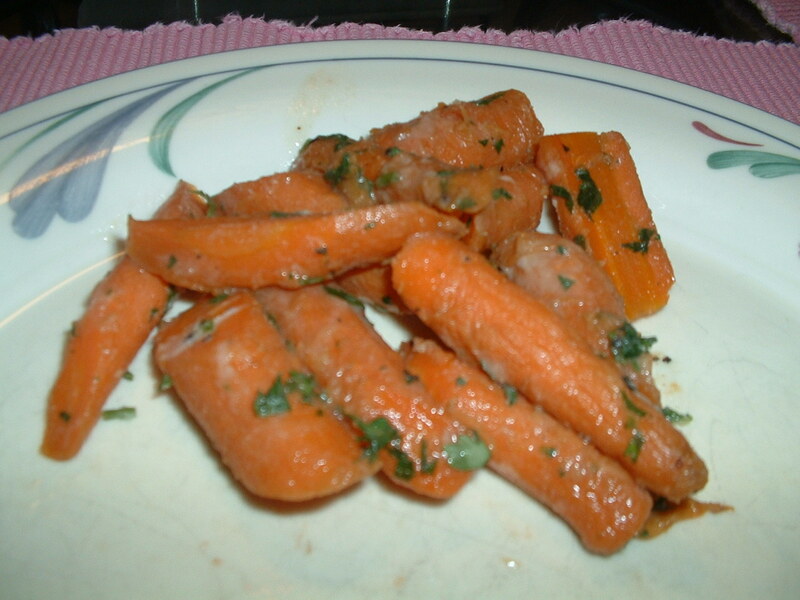 Put the carrots in the refrigerator to stop the cooking process and set the orange color. Add the butter to a 12-14 inch non-stick skillet. Put the pan on medium heat. Once the butter has melted, add the maple syrup. Cook while stirring for two minutes. Add the carrots. Cook while stirring frequently for four minutes. You want the syrup to thicken slightly and adhere to the carrots creating a glaze. Turn off the heat. Taste and add sea salt and black pepper, to taste. Garnish with the parsley and serve while hot.